We offer a wide range of Storage Systems that includes Conductive PCB Rack, Conductive ESD Drawers, Conductive SMT Rack, Conductive PCB Carriers, ESD Containers, Conductive Waste Bin, ESD PP Corrugated Containers, Stainless Steel Cart and ESD Trolley. 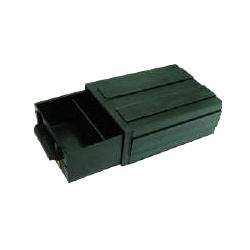 These are widely used for various storage applications and demanded widely among our clients. We use quality raw material that ensure the optimum durability and reliability of the Systems. 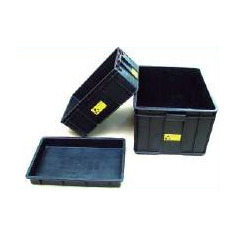 Manufactured with conductive polypropylene corrugated sheets, our wide range of ESD PP Corrugated Containers can be customized as per the requirements of the clients. These are ideal for transportation of PCB, ESD corner and frames. We manufacture and design a wide collection of ESD Containers that has a complete line of Static Dissipative products to prevent ESD damage to your valuable electronics during production, shipping and storage. These are available in various specifications and can be customized to suit the diversified requirements of the clients within committed time frame. We offer a wide assortment of PCB Carriers that are used for protection of boards during storage or transport in assembly line or integrate with automatic component insertion machines. These are designed with latest technology that ensures optimum efficiency and durability. We offer a wide assortment of Conductive ESD Drawers that are developed to meet specific electrical property requirements, assuring static dissipation at a safe rate. The interior of the Drawers can contain conductive plastic boxes and conductive slotted grooved trays for additional protection. 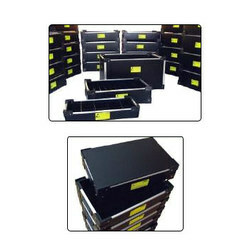 Our company has specialized in manufacturing a wide range of ESD Trolleys that are deal where storage space is limited. 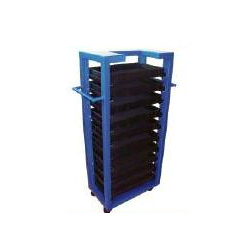 Further, these Trolleys are provided with puller and casters that helps in enhancing the efficiency of the ESD Trolleys. To suit the varied requirements of the clients, we can also offer the customized range of these Trolleys within committed time frame.